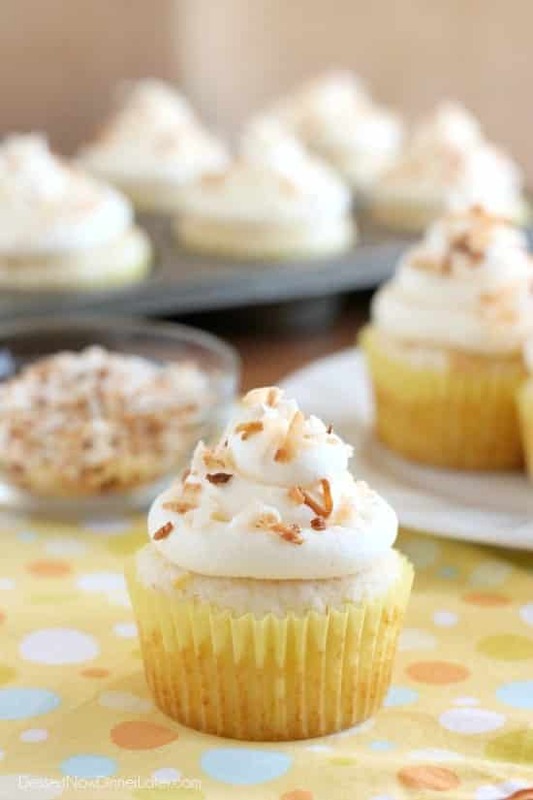 Pina Colada Cupcakes - Dessert Now, Dinner Later! 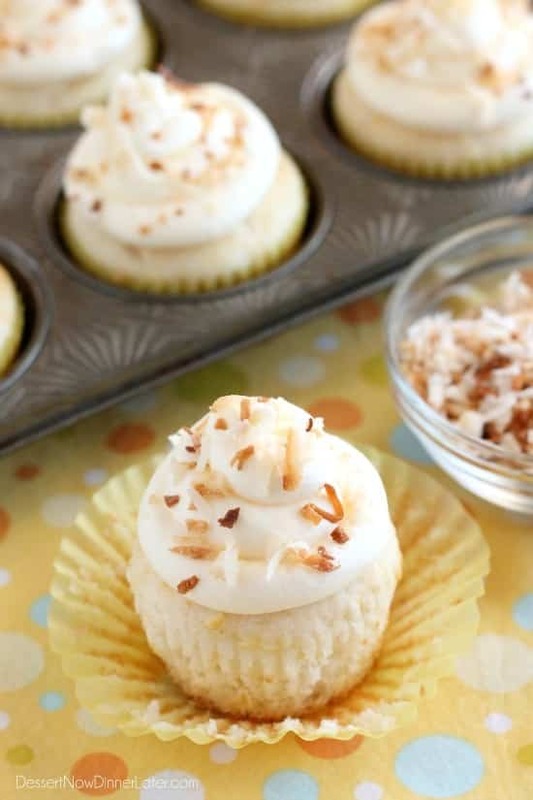 These Pina Colada Cupcakes have crushed pineapple in the cake, and coconut & rum extracts in the frosting, for a frozen drink inspired tropical dessert! I am in full swing with summer flavors. I just can’t help it! I love citrus flavors! I love tropical flavors! I love fruity desserts! 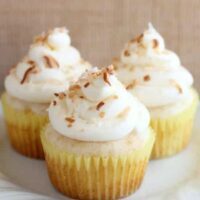 These Pina Colada Cupcakes are inspired by one of our favorite drinks, and my husband couldn’t stop raving about how they were the perfect blend of all the flavors! Now, if you are looking for a boozy dessert, this is NOT it. Sorry, we aren’t drinkers, so all my desserts are alcohol-free. I simply swapped the booze for rum extract, and you still get that flavor in there while keeping these kid/family-friendly. Let me break down this cupcake for you. 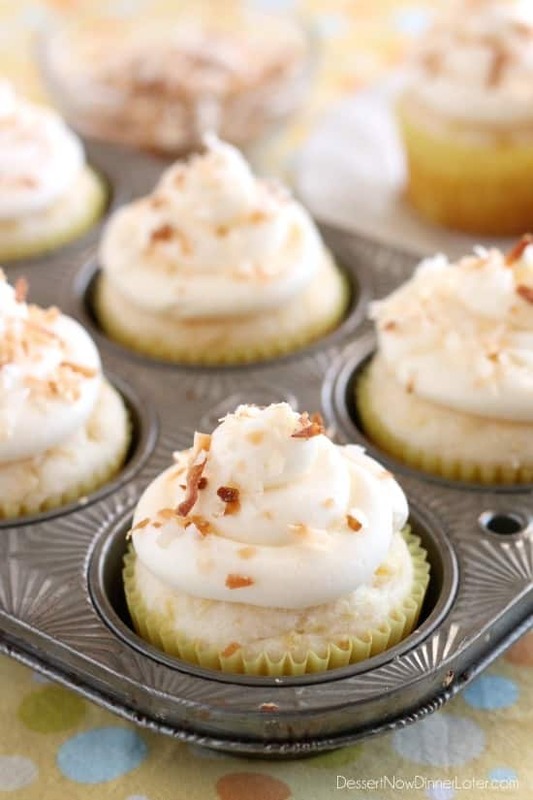 Tender white cupcakes full of crushed pineapple, topped with a coconut and rum flavored buttercream, all sprinkled with toasted coconut for fun. Getting hungry yet? I hope you have the chance to try these! I had 2 for lunch the day I made them. They are THAT good, haha! Fill muffin/cupcake tins with 18 liners. In a large bowl, whisk together the cupcake ingredients. Divide batter amongst the prepared 18 paper cups. Bake at 400 degrees for 12 to 13 minutes. Allow cupcakes to cool. Meanwhile, using a large bowl and hand mixer, beat the butter until fluffy. Add the powdered sugar, and the coconut and rum extracts. Mix well. Add just enough milk to thin the frosting to a pipeable consistency. Fill a pastry bag with a coupler and round tip. Fill with the buttercream and swirl the frosting on top of the cupcakes working from the outside, in towards the center. 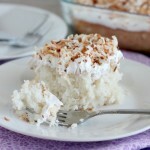 Immediately top with toasted coconut so it sticks to the frosting. Store in an airtight container up to 5 days. Thanks June! A very fun spring treat, indeed! 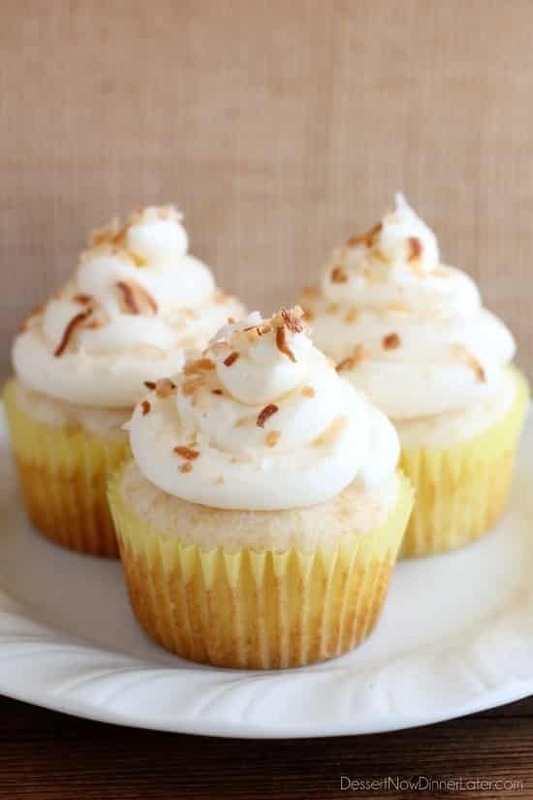 We love the pineapple coconut combo! My husband scarfed these! Lol. Thanks for pinning! Love these, Amber! They are gorgeous! You know how I feel about cupcakes. I want to eat them all!! Pinning! Sorry for all the exclamations. Your cupcakes get me excited. Thanks Jen! And thanks for pinning! Glad they make you excited! Looks lovely, Amber. 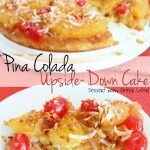 I love Pina Colada desserts and this one looks divine. Thanks Teresa! These were way fun to make and equally delicious! 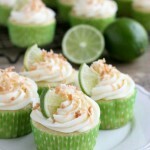 I love tropical flavors too so these cupcakes are perfect! They look absolutely gorgeous! Thanks Kelly! Glad so many of us love the tropical flavors! 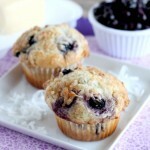 These sound really good… honestly, I probably would have eaten the entire BATCH for lunch. 😉 Hehe… oops! is it bad that I want to eat these for breakfast? Love pina colada, Made this recipe for my friends party and all gone So good……..
I’m so glad to hear that! Thanks for leaving your review! Loved these! I actually did some minor substitutions to make them vegan. But I have been getting compliments on them everywhere I serve them! Thanks for sharing! That’s so great! Thanks for your review Elizabeth!